Provides a gentle fragrance of white flowers. 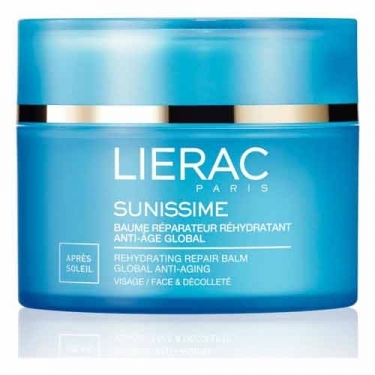 DESCRIPTION: Sunissime Baume Réparateur Réhydratant from Lierac is a rich balm, which helps to moisturize, repair and fight the damage caused by sun exposure on the face. 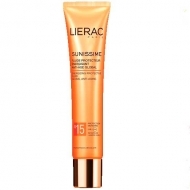 It intensely repairs skin photoaging. Nourishes deeply and returns hydration to the skin. 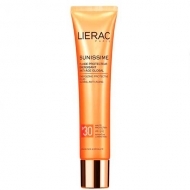 Smoothes the skin and keeps the tan uniform and sublime. Refreshes and soothes, reducing discomfort. Provides a gentle fragrance of white flowers. Ideal for normal to dry skin. 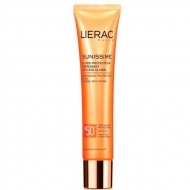 Apply to the skin of the face after sun exposure, with a gentle massage.